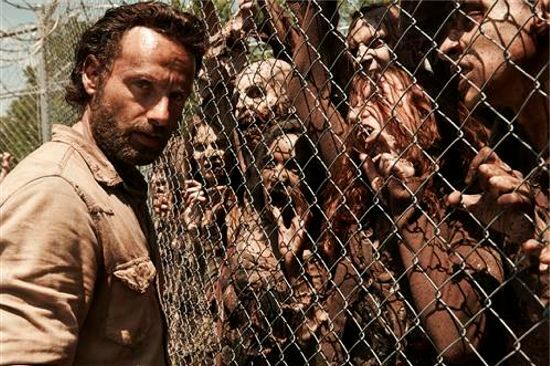 During The Walking Dead Season 4 Premiere, Rick Grimes told a woman that he found in the woods that her husband would have to answer three questions before he allowed them to join his group. The three questions were: How many walkers have you have you killed? How many people have you killed? Why? During the Talking Dead after-show, actor Andrew Lincoln explained the reasons behind the three questions. "If they give any sort of answer we think is suspect or the way they answer it is suspect, then they don’t come back," said Lincoln. "So it’s basically just a buffer, a first shield, and then it’s just a matter of proving yourself." In a later segment on the Talking Dead, showrunner Scott Gimple explained that it's not just Rick that asks potential new group members the three questions. The three questions were implemented by the governing council and even Daryl has to ask them.